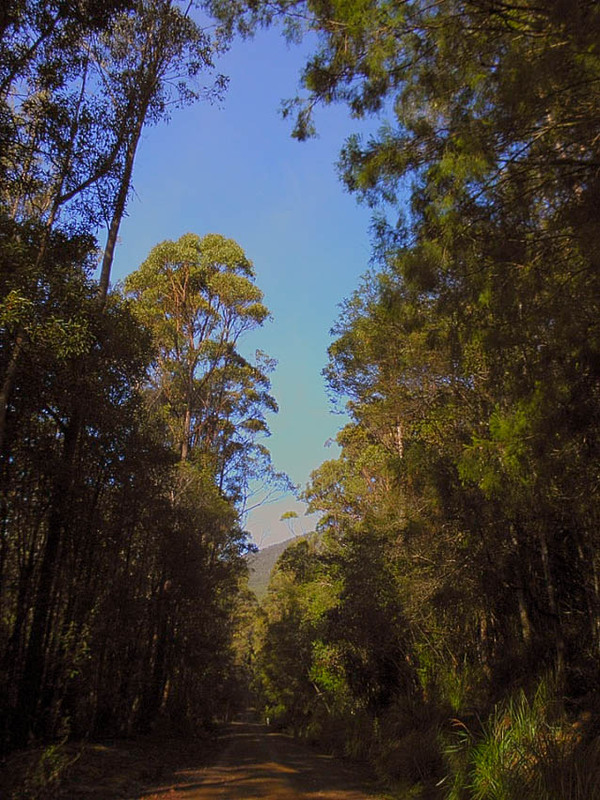 The Tasman National Park and State Reserves cover three separate areas on the Forestier and Tasman Peninsulas, with the part on the Forestier Peninsula being inaccessible by public roads. The Park is well known for its striking coastal views, including 300 metre high sea cliffs and several spectacular geographical features. 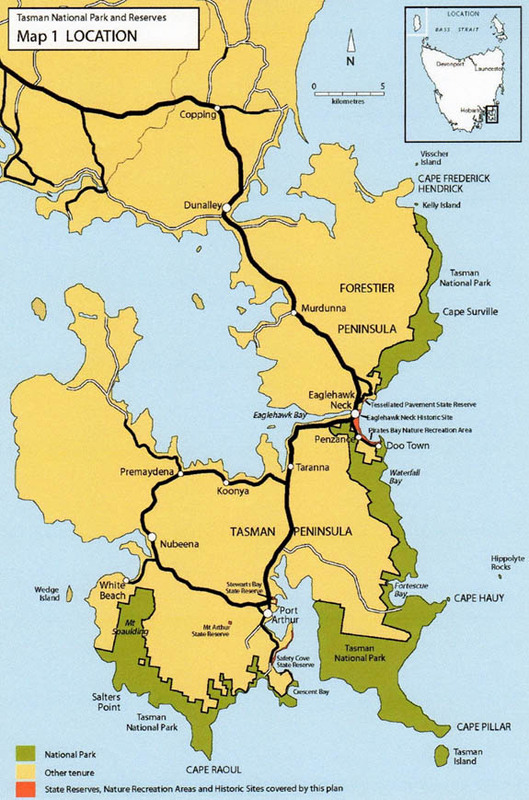 Within Eaglehawk Neck the Tasman National Park includes Fossil Island, The Blowhole, Tasman’s Arch, Devil’s Kitchen, Waterfall Bay and part of Waterfall Bay Road plus much of the hill to the west of Pirates Bay. It also includes the Eaglehawk Neck Historic Site, Pirates Bay Nature Recreation Area and the Tessellated Pavement State Reserve. Eaglehawk Neck is literally a coastal community within or surrounded by a magnificent national park. Map courtesy: Parks and wildlife Service 2011, Tasman National Parks and reserves management Plan, Department of Primary Industry, Parks, Water and Environment, Hobart.